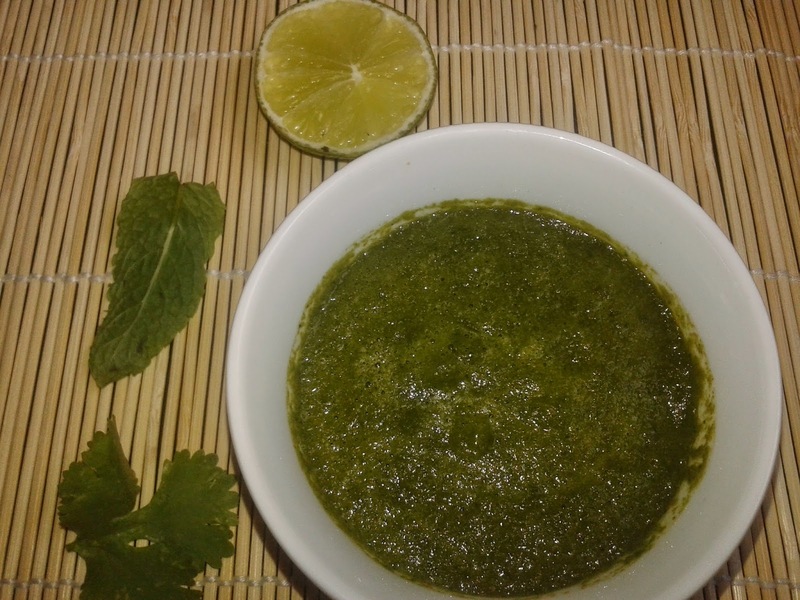 Mint and Coriander Leaves Chutney is spicy and is a great accompaniment with any dish. The best part about it is the freshness of mint and coriander leaves. It is always best to make this chutney fresh with your main dish. Mint and Coriander are the best combination for a Chutney recipe. It can be served with Pakoras, Samosas, Platters, Paneer Tikka etc. If you like the chutney less spicy you can use less green chillies. This chutney is a must with Tandoori Platter and Paneer Harabhara Kebab. So lets proceed step by step. 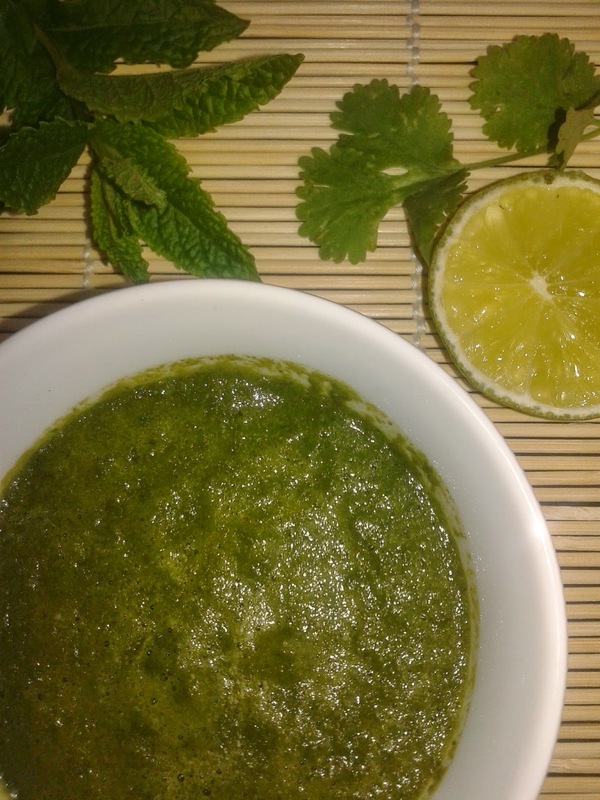 To make this fresh coriander and mint chutney you need very few ingredients. 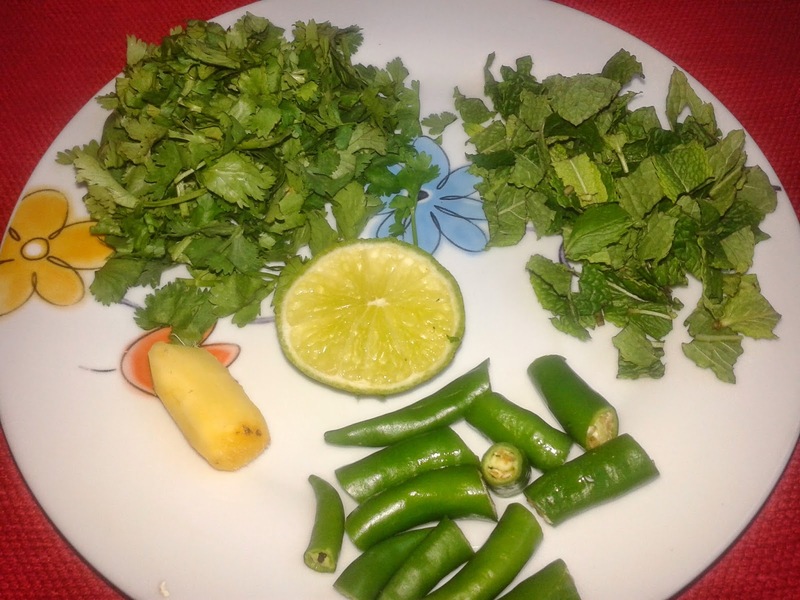 Chop the coriander leaves, mint leaves and green chillies like shown in above picture. You need not chop very finely as everything is going to the grinder eventually. In fact if the leaves are chopped to small they will not grind properly. In a grinder grind everything together with little water. Add some lemon juice and mix well. Enjoy the fresh mint and coriander chutney with chats, evening snacks, veg platters.